New Delhi, March 1: The Centre on Thursday approved an order for giving reservation benefits to economically weaker sections and for promotion in government jobs to Scheduled Castes and Scheduled Tribes in Jammu and Kashmir. The decision has been taken at a meeting of the Union Cabinet, chaired by Prime Minister Narendra Modi, Finance Minister Arun Jaitley said at a press conference. The cabinet "approved the proposal of Jammu & Kashmir Government regarding amendment to the Constitution (Application to Jammu & Kashmir) Order, 1954 by way of the Constitution (Application to Jammu & Kashmir) Amendment Order, 2019," according to an official release. "It will serve the purpose of application of relevant provisions of the Constitution of India, as amended through the Constitution (Seventy-Seventh Amendment) Act, 1995 and Constitution (One Hundred and Third Amendment) Act, 2019 for Jammu and Kashmir, by issuing the Constitution (Application to Jammu and Kashmir) Amendment Order, 2019 by the President under clause (1) of Article 370," it said. The Constitution (Seventy-Seventh Amendment) Act, 1995 provides for reservation in promotion for the Scheduled Castes and the Scheduled Tribes, while the Constitution (One Hundred and Third Amendment) Act, 2019 provides for 10 percent reservation in education and government jobs to economically weaker sections. The government had enacted a law last month to provide 10 percent reservation in jobs and education for the general category poor. The Union Cabinet also decided to promulgate an ordinance -- The Jammu and Kashmir Reservation (Amendment) Ordinance, 2019 -- to give reservation benefits to the people living along the International Border in Jammu and Kashmir, who often face shelling from across the border. 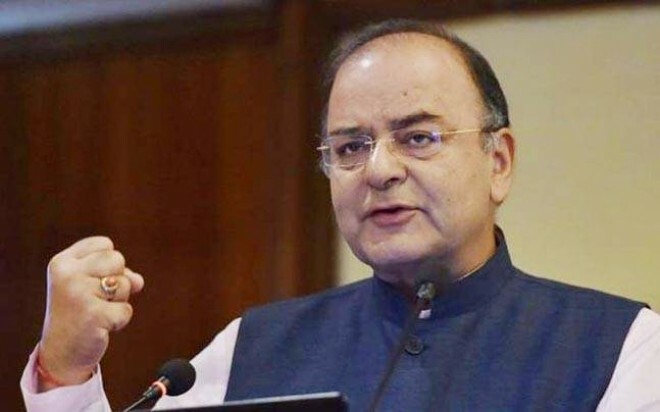 "It provides for amendments in the Jammu and Kashmir Reservation Act, 2004 to bring persons residing in the areas adjoining International Border within the ambit of reservation at par with persons living in areas adjoining Actual Line of Control," Jaitley said. This facility was so far available to the people living along the Actual Line of Control in the state who also face similar living condition. This proposal was moved by the Jammu and Kashmir government, which is under the President's rule.